You Are Here: Home > Why Is My Car Drifting And Pulling? Many drivers in Long Beach, Cerritos, and Newport Beach experience their vehicles drifting or pulling from side to side, but do not realize the risks to safety it poses. Within the vehicle, drifting or pulling could be a sign of something worse to come. For the driver, not having complete control of the vehicle could mean a disaster in traffic. If you’ve ever asked yourself, Why is my car drifting and pulling? check out this list of potential causes, courtesy of the team at Norm Reeves Honda Huntington Beach. If you are experiencing any drifting or pulling when you drive, schedule an appointment or visit your mechanic as soon as possible to fix the issue before you have to pay repair bills, or even worse, find yourself in an accident. A simple fix is to take a look at your tire pressure. You should frequently check your tires to ensure they are at the recommended pressure levels. If one side is lower than the other in tire pressure, your vehicle will pull to that side. Though a simple fix, if you let the issue persist, your tires will begin to wear down faster, which will lead to suspension problems and high repair bills. If your tires start to wear, this is going to change the weight shift in the vehicle, too, causing your car to pull. Not only do you want to keep up with tire pressure maintenance, but you also want to prevent your tires from wearing down. An improper wheel alignment is another reason your vehicle will drift. Routine maintenance is guaranteed to prevent any alignment issues from occurring. The engineering of the road can also cause your vehicle to ride off to the side on its own. Roads are constructed with an angle for water runoff purposes, and due to the angle of the road, your vehicle may drift. A defective tire will also lead to drifting. Tire conicity is caused when the belts under the treads are not aligned properly, or when there is more belting to one side, which causes a cone shape in the tire. This can be detected by feeling more of a pull the faster you go. Mechanics will switch the two front tires and see if the car drifts in the other direction to test this issue. Getting a new tire may also cause problems when trying to keep the car between the lines. All tires should be the same and be made with the same tread marks. When adding a new tire into the mix, pulling and drifting will happen. It is recommended that when replacing tires, do two at a time and place them in the rear. You may also experience tire separation, which is very dangerous, because the tire may blow out while in operation. This occurs when the belts under the treads separate from the tire. Tire separation can be detected by a shimmy or shake at low speeds. Have you ever noticed your car drift in the same direction as a turn you just took? This is called memory steer and is caused by bad strut bearings, defective tie rods, or binding ball joints. The last reason your vehicle may be drifting is due to brake problems. Brake systems can encounter many problems that will cause brakes to stick and not release properly. Problems may be a sticking wheel cylinder, sticky caliper, hydraulic malfunctions, and weathered suspension components. A vehicle that drifts is a hazard on the roadway and to the driver. If you experience or are experiencing a pull from side to side, make an appointment or visit your mechanic right away. Now you have a general idea of possible causes, but if you want a precise answer to the question, Why is my car drifting and pulling? 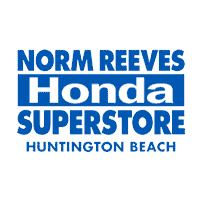 come and visit our service center at Norm Reeves Honda Huntington Beach, your dealer serving Long Beach, Cerritos, and Huntington Beach.